Ok Steve, you told us recently it was all about the Mac. The new MacBook Air is nice and slim, and iLife makes my wife’s life easier when making albums of the kids in the kindergarten where she works… but I don’t see how this is all about the Mac. It feels more like, its all about making the Mac more like the iDevices, which is fine when making them more consumer friendly. 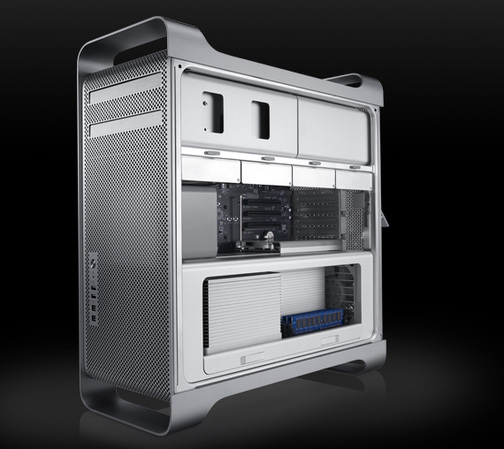 As a “power” user in need of productivity tools in 3D and game development, I am still waiting for an up to date graphics card update option to my 2008 Mac Pro. The overpriced Quadro 4800 is not really an option and the Radeon 5780 is still not available for purchase. In terms of OS X, there are some issues that needs to be addressed. When changing the association of all files of a certain type to be opened by a specific application, it will only be valid for the currently existing files on the system. As soon as another file is added/downloaded, it might have some other application associated with it. Can I please have a more Windows like file association? Not by file extension though, but by actual file/mime type. I am fed up of having the most recently installed app hijacking any file types it want to. I have tried RCDefaultApp, but it just doesn’t work as “advertised”. Next issue that needs to be fixed is Spotlight. When I search the system for files of a certain file size, Spotlight does not allow for displaying the file size next to the name and date in the listing. I have to Cmd+I click each of them or check their size. Why oh why? Fix these first, then you can get back to implementing iOS features in OS X.